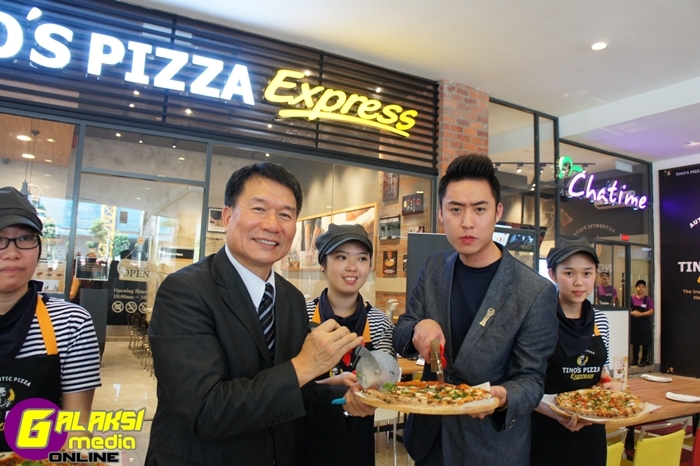 Bryan Loo, the man who brought Chatime to Malaysia and sparked off the modern tea drinking culture, today launched his latest venture in the food and beverage industry with Tino’s Pizza Express (Tino’s), at Nexus Bangsar South. The dough must be kneaded by hand or with a low-speed mixer. After the rising process, the dough must be formed by hand without the help of a rolling pin or other machines.The pizza must be baked for 80 seconds in a 500°C oven producing a charred, crispy, tender and fragrant pizza. For more information, visit their Facebook page at www.facebook.com/tinospizzamalaysia.